This Chelsea boot is made of dark brown, waxed leather. The black rubber sole provides high wearing comfort. For the past seasons, we've been busy remanufacturing our Van Bommel collection. We wanted to recreate what an authentic, classic collection is supposed to look like. Without frills and frippery - simply the ultimate, classic Van Bommel collection. I was quite surprised how much I enjoyed working on this. Manufacturing colourful Floris van Bommel sneakers is definitely great, but fine-tuning true, classic styles, materials and lasts - that's shoemaking as we've been doing it here for centuries. When I started working in our family business twenty years ago, I thought the Van Bommel collection was dull and boring and so we all worked very hard on establishing the 'Floris van Bommel' brand. We went for 'younger, faster, wilder' to make sure that our family company would remain relevant in a rapidly changing world. And we definitely succeeded in doing so. Now we're focusing our efforts on restoring former glory: Classic shoes, carefully manufactured in the Netherlands. 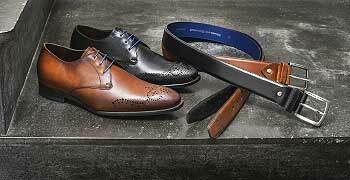 Van Bommel shoemaking is still a matter of craftsmanship and we continuously strive to create the best fit possible. But it is also this very aspiration which can make it more difficult to determine your right shoe size. Below you will find a size conversion chart detailing UK sizes in centimetres and how these numbers translate into European sizes for you to easily determine your size. 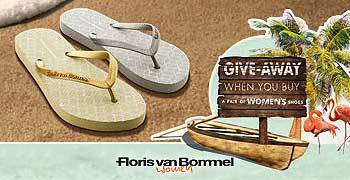 Join Floris' newsletter and get 10€ discount on your next order! The maximum amount of 6 products in your cart has been reached.